Medical waste containers aren’t trash cans. You can’t just throw anything in them. Only certain items should be disposed of in these special containers. They are designed to contain and seal biohazardous waste for transport. However, some rules can be confusing, which may result in improper use of medical waste containers or improper disposal of biohazardous waste. Simple mistakes can lead to violations of local and state laws, which can result in costly fines. Below are some important rules to remember when disposing of waste into medical waste containers. What Items Go into Medical Waste Containers? What Items Do NOT Go into Medical Waste Containers? It’s common for the below items to mistakenly find their way into medical waste containers. But some can cost you and your business a lot of money! Diapers: Dispose of contents in the toilet and throw out the rest as municipal waste. Soiled linens: Almost all laundry services are able to process regularly soiled linens. Dialysate: This must be disposed of in the toilet. Urine and/or feces: Discard in the toilet. Cardboard packages of medicines: Throw away as municipal waste. However, packages of chemotherapy medicines must be disposed of as chemotherapy waste. 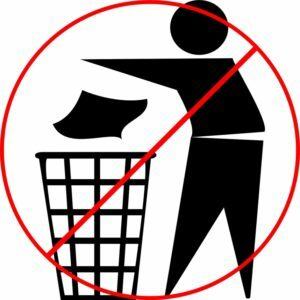 Garbage: Items generated from the processing or cooking of food must be disposed of as municipal waste. Medical waste has immense potential to cause harm. Some items are contaminated with blood and other bodily fluids, which can cause disease. Others, like discarded needles and scalpels, are sharp and may be tainted with pathogens that can cause hepatitis and AIDS. Others contain chemicals like mercury, solvents, disinfectants and heavy metals that can cause birth defects, poisoning and organ damage. Medical waste with radiation can cause burns and increase cancer risk. There are many reasons for such strict rules and regulations when it comes to disposing of medical waste. The safety reasons are mentioned above, but another is the significant expense. Compared to household waste, collection and disposal of medical waste is much costlier. Therefore, individuals and staff should make a concerted effort to segregate and minimize the generation of medical waste. At Wellbeing Midwest, we pride ourselves in helping to keep medical waste disposal affordable to our clients. Not only do we provide continuous education on best practices, but we also provide our services with no contracts or hidden fees. Contact us today for a FREE quote.